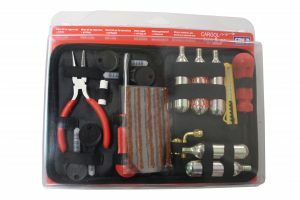 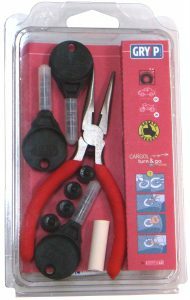 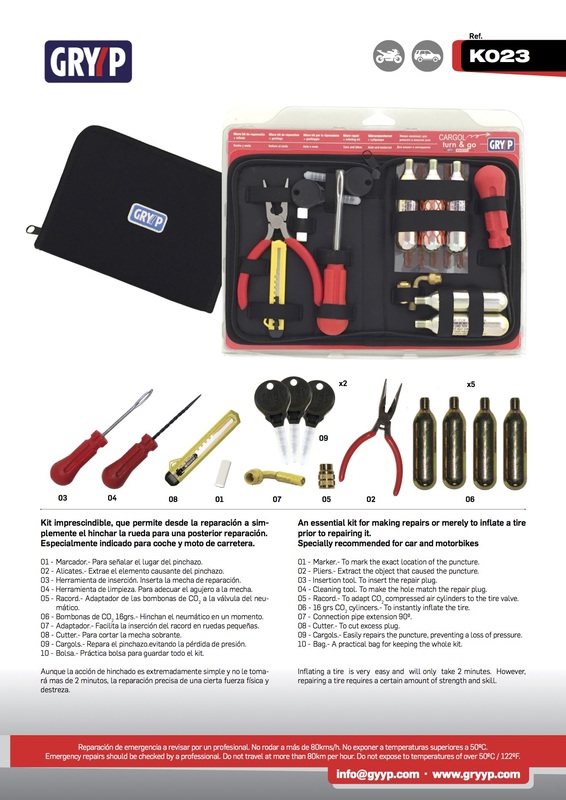 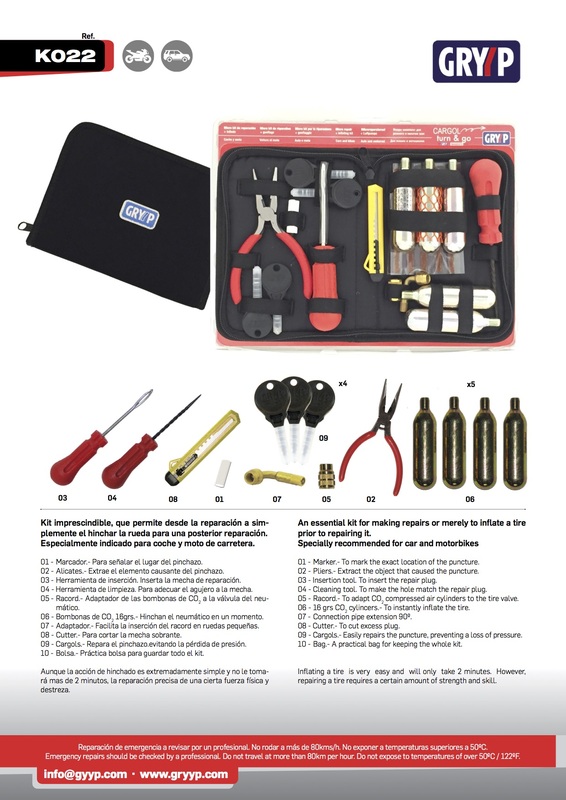 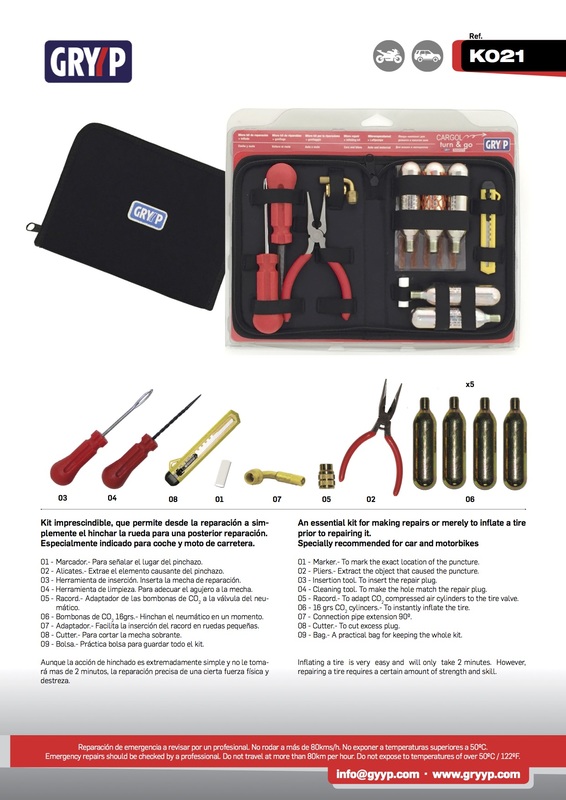 An essential kit for making repairs or merely to inflate a tire prior to repairing it. 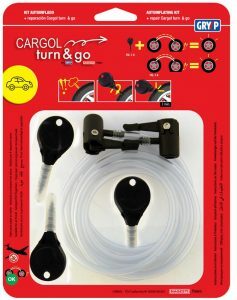 Specially recommended for car and motorbikes. 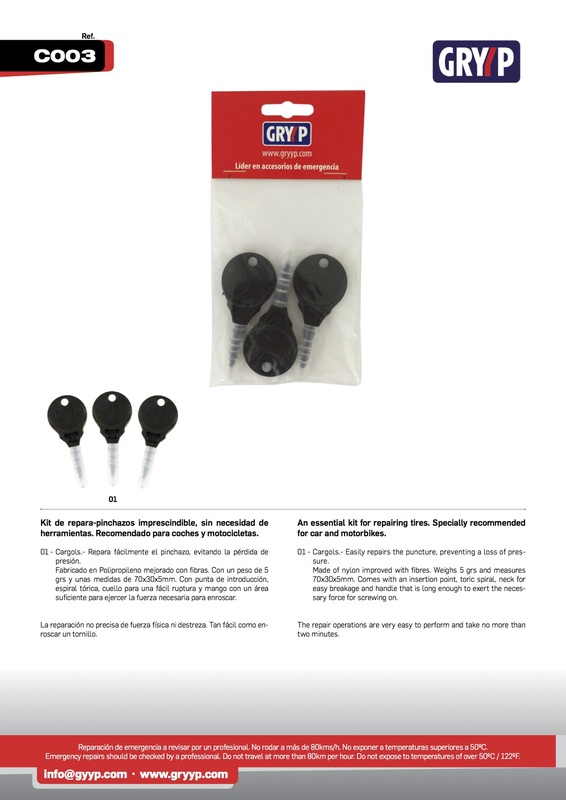 Essential kit that permits to pump up a wheel from another wheel’s air for a later repair. 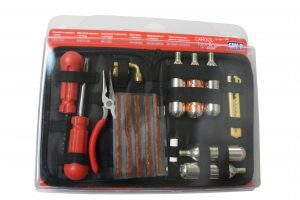 It’s specially suitable for cars as the length of the connexion cord included is about 3.5 meters long. 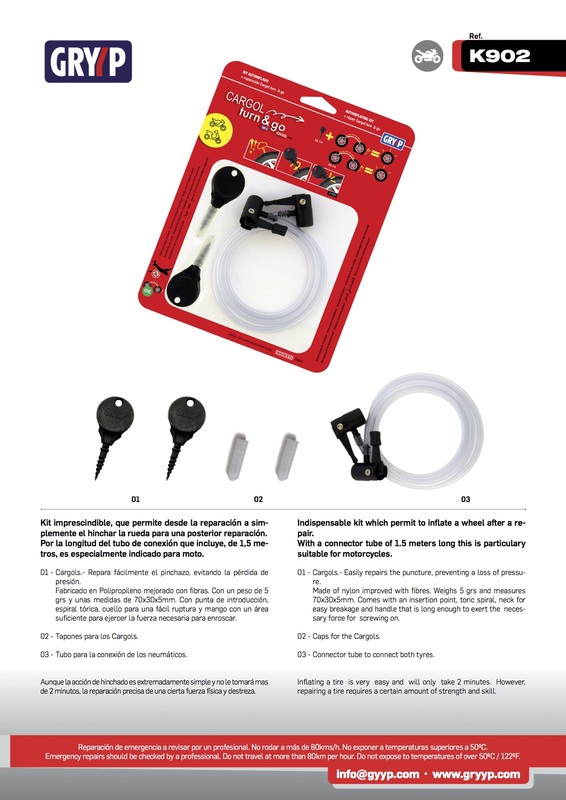 Essential kit that permits to pump up a wheel from another wheel’s air for a later repair. 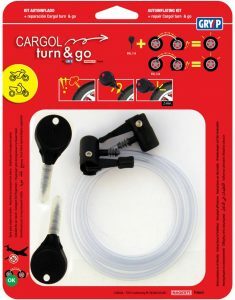 It's specially suitable for motorcycles as the length of the connexion cord included is about 1.5 meters long. 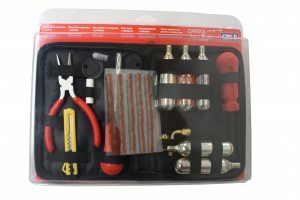 An essential kit for repairing tires. 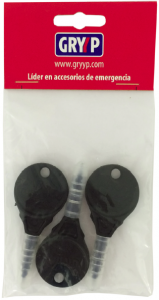 Specially recommended for car and motorbikes. 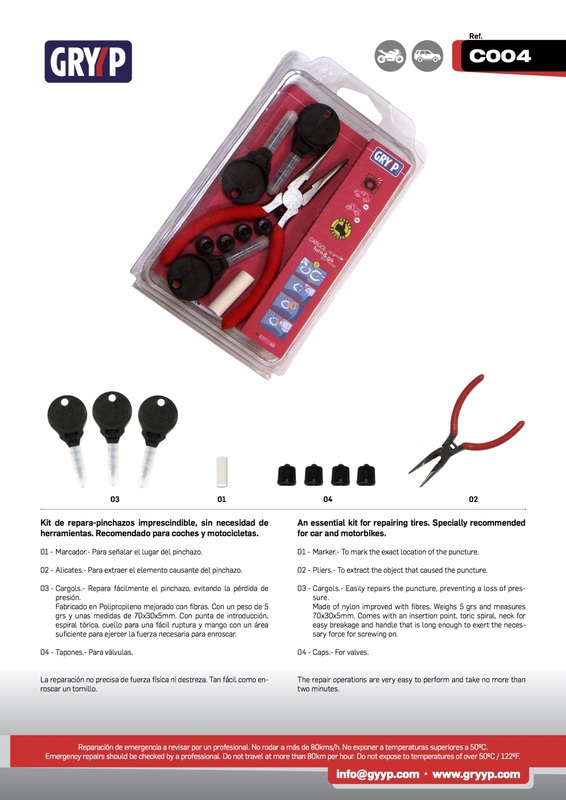 Kit repara-pinchazos imprescindible que se utiliza sin necesidad de herramientas. 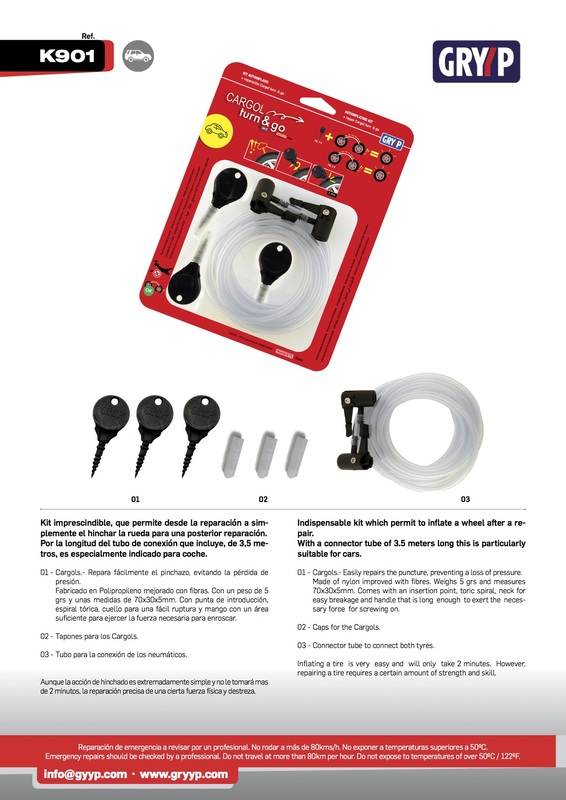 Recomendado para coches y motocicletas.